After 10 years of absence from the fire fighting scene, Jayrow has returned to an industry in which it pioneered in Victoria and Australia. 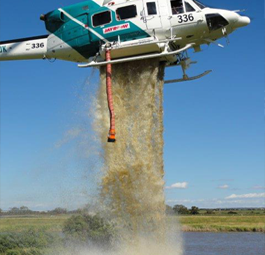 We have invested in Twin Engine Medium Helicopters that have been modified and engineered with one capability in mind, Fire fighting and suppression. These machines are essential to any serious attempt to gain control of a fire that burns out of control and threatens our wild life and our communities. 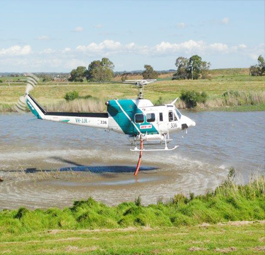 Our Helicopters operate using a belly tank to carry large volumes of water quickly and safely to a fire front. Using a snorkel set up with a high volume pump configuration we can absorb up to 1500 litres into the tanks in 45 seconds. This allows quick turnaround times between delivering water onto a fire front and then returning with a new load of water. This technology allows us to source water from shallow water supplies and even from a backyard swimming pool. Jayrow also has troop repelling capability allowing us to deploy fire fighters into inaccessible areas quickly and safely. 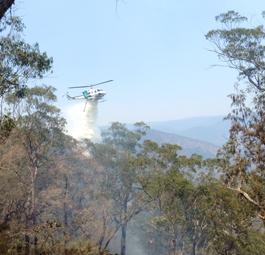 Jayrow's strong history and new found commitment to the fire fighting industry will ensure we are committed to making a difference when disaster strikes as is unfortunately all too common these long hot summers.